Dallas, TX, May 17, 2017 - (ACN Newswire) - YPO, the premier chief executive leadership organization in the world, concluded its second-annual YPO Innovation Week by announcing the winners of the Global Innovation Awards, which honors those YPO members who have created transformative innovations and nurture continued growth and opportunity for leaders around the world. In addition to recognizing the top ten innovators from among more than 24,000 YPO members across 130 countries, the Global Innovation Awards also honors Asia's top innovator and the top young adult innovator, who is a child of YPO member (ages 17-29). "The Global Innovation Awards highlight those distinguished innovators who are leading the way in creating forward-thinking companies and significant opportunities for this and the next generation. These leaders are making an indelible mark in the world," said Keith Alper, Chair of YPO Innovation Week. Michael Golway is the inventor of the BioAssemblyBot(R), the world's first 3D human tissue printer that uses a six-axis robot. BioAssemblyBot(R) is a disruptive technology that allows researchers to complete their experiments faster, pharmaceutical companies to take cost and time out of the drug development process and a new approach to solve for diseased or failing organs. In addition to selling the innovation to customers around the world, Advanced Solutions Life Sciences is using the BioAssemblyBot(R) technology platform in its own labs to help advance the science including developments to support the goal of 3D printing human organs. 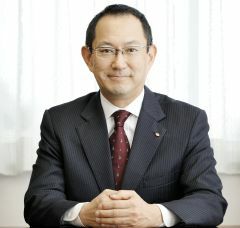 Tadahiro Kawada is the President of Kawada Technologies, Inc, overseeing multiple businesses including construction, ICT, aviation, environmental, and robotics. With a background in mechanical and aerospace engineering, he led the research and development of humanoid robots at Kawada, collaborating with the University of Tokyo and Japanese government agencies. Since 2000, the Kawada Group has developed more than 10 variations of biped humanoid robots. Kawada's newest robotics product, NEXTAGE, is an industrial-use collaborative robot (cobot) that empowers manufacturing companies, facilitating factory innovation and labor efficiencies. 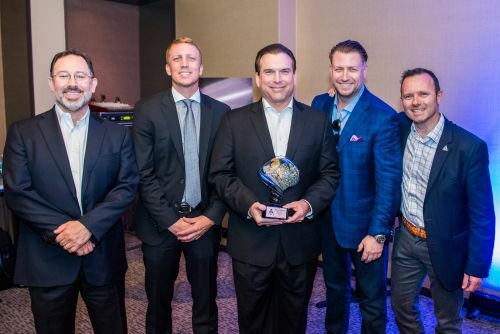 "Congratulations to the 2017 Global Innovation Award honorees as they highlight the innovation and breadth of talent of the global YPO network," said Scott Mordell, CEO of YPO. "Acknowledging their originality and inventiveness is a perfect way to cap off the second-annual YPO Innovation Week." Marketing Evolution is an independent SaaS platform for measuring and optimizing the entire marketing mix and creator of ROI Brain(TM), which uses person-level analysis to deliver detailed message rotation, targeting and media mix optimization for every media. 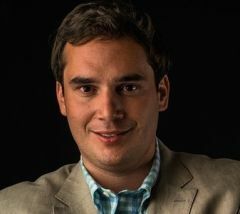 * Josh Siegel, Chairman and CEO of StoneCastle Financial Corp.